Legal Assistant to Ellis T. Fernandez, III, Esq. Tammy was born and raised in Birmingham, Alabama. Prior to moving to Jacksonville, she was a transplant in Atlanta, Georgia where she worked for a defense firm for 11 years as a Paralegal. She joined FTL in June 2018 and brings with her over 25 years of experience in the legal industry. Tammy has three grown daughters and one granddaughter who she enjoys spending time with. She is also very passionate about Alabama football (Roll Tide). In her spare time she enjoys the beach, watching college football and traveling. Legal Assistant to Michael S. O'Neal, Esq. Cindy is a Jacksonville native. She graduated from Stanton College Preparatory School c/o '91 and then the University of North Florida in '96 with a BA in Criminal Justice. She has worked in the legal industry for Michael O'Neal, Esquire since 1993. In her spare time, she enjoys the beach, paddle boarding and Pro Kadima with her husband and children. Legal Assistant to Gregory E. Blackwell, Esq. Born and raised in Puerto Rico, Glory joined the firm in May, 2017. As a Legal Assistant, she supports the construction team and assists the litigation attorneys and paralegals in all phases of lawsuits, from filing through trial, as well as mediations and arbitrations. She also serves as a Spanish-English interpreter for the firm. Prior to moving to Jacksonville, Glory lived in Newport, Rhode Island where she worked as a leasing assistant and an interpreter for a non-profit organization. When not at work, she enjoys everything that Jacksonville has to offer, as well as traveling with her husband as often as possible. Melissa was born and raised in Fort Pierce, Florida, where she helped run her father's family business. She moved to Madison, Florida where she worked as a legal assistant and office manager for a law firm. She later met and married her husband. She and her husband were married in 2010 and together they have five (5) children, four boys and a girl. In the middle of 2012, Melissa and her family moved to Jacksonville. 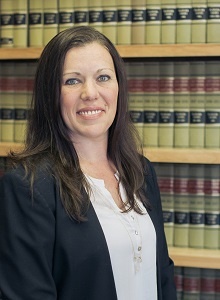 A few weeks later, Melissa joined the trial team here at Fernandez Trial Lawyers. 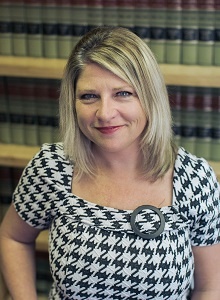 She brings over 15 plus years of clerical experience as well as over eight years in the legal field. Melissa will be attending the paralegal certificate program through UNF starting this fall. Bobbie is a Jacksonville native who joined the firm in 2016. She attributes to a variety of assistance within the firm. Bobbie enjoys spending time with family, friends and her two children and traveling and spending time outdoors. Ben is from Wyoming, Michigan and moved to Jacksonville in 2009. He is very passionate about football (aka soccer) and enjoys watching it on the weekends with friends. 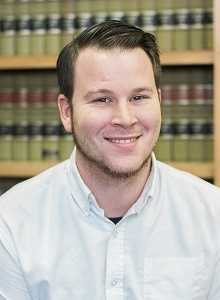 Jamie is a Jacksonville native and worked in the insurance and bail bond business for many years. She recently joined the FTL family and is very excited with this new opportunity. When not working she loves spending time with friends and family, going to the beach, and connecting with nature. Destiny is a graduate of Gainesville High School and is currently a junior in college pursuing a double Bachelor's degree in Criminology and Psychology. Her ultimate goal is to obtain a Master's in Criminology and join the FBI. Destiny has previously interned at several law firms in Gainesville and prides herself on her exceptional organizational skills and her commitment to those she works with. When not working or attending classes, she enjoys swimming, stargazing, and writing and is currently working on a novel.